owever, all good things must come to an end, and Sandbox Interactive’s devs are itching to get back to building in all the cool new features and make the game ready for our winter alpha! To soften the blow we want everyone to come along to a a little event we’ll be putting on just to say a big thanks for your support, challenge your combat skills one last time, and end the test on a high note! We (and the citizens of Bearsfast!) 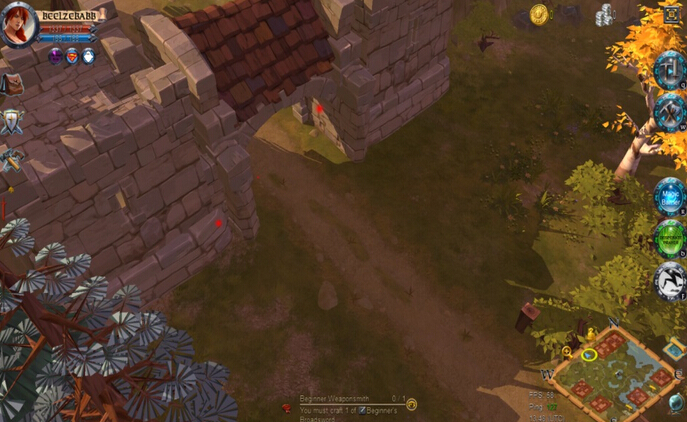 would love it if as many players as possible could join in Albion Online. Testers who want to stream the action are also very welcome! A massive thanks to everyone who has participated in testing so far – updates on a development roadmap for the next test will be out within two weeks of the end of the test! Citizens of Bearsfast, west of Lost Shore, have recently reported a major crisis, with a monster infestation which has left hundreds of people displaced from their homes, too frightened to return to gather their equipment and take up arms against the monsters themselves. The once-majestic castle as been overrun, and the area has had to be deserted. Having kept their homeland quarantined for months, the citizens have sent out a plea to the heroes of Albion to muster the last of the strength for one last battle, to overcome evil and save the region – and indeed, perhaps, the world – from certain destruction. Two brave warriors, Beelzebabb and Empa, have boldly volunteered themselves to lead the company to the very heart of Bearsfast and destroy this evil once and for all. Will you join them? If you are bold enough, come to Lost Shore on the 13th of October at 17:00 CEST. Bring your best gear, all the strength of your heart, and maybe a spare pair of underpants. Albion Online "Soft" PvE Death!